Of cash and environmental degradation and planes trains and automobiles to the wish I could see it destination of Australia…world’s smallest continent but sixth largest country. What can I say about Australia that hasn’t already been said by the excellent Bill Bryson in “In a Sunburned Country“? He explains there that everything in the natural world in Australia is trying to kill you. 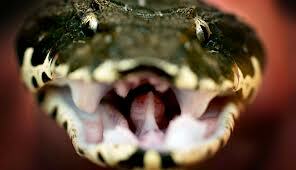 Spiders, sharks, snakes, sun – you can practically hear the country hiss at you! Well, except for the Australians, who are generally non-poisonous and cheery, if a bit pushy. I was lucky enough to have parents in law, one from Australia (him) and one from New Zealand (her), and to see their interaction. It reminded me of those studies done in the US where they’d put a northerner and a southerner in the same room and let them talk and the person from the south would end up chasing the northerner around the room because South would try to close the room between them and North would try to widen it. Aussies push forward, New Zealanders quietly get even. It was part of my marriage agreement that my hubby and I would go to Australia and New Zealand, but after 23 years of waiting for this to happen, I gave up and left. The hubby. Still haven’t got to Australia or NZ. Sigh. There are about 22 million Aussies in the world but they are hard to count because they are always travelling everywhere. Any time anyone goes anywhere, they’ll run into travelling Aussies. Try Antarctica – they’ll be there. Norway? Been there. Go to Niue, and an Aussie will pop out of the surf. They’ve been everywhere or are en route to there. It’s a bit annoying since for us to get to Australia seems like such an expedition. When they’re home, they run a good country, doing well financially, only occasionally cruel these days to their native population. They’ve dumped the Queen as head boss, which angers many. But they have compulsory voting, which I think is brilliant! Might get some of those lazy “think I’ll just stay home and complain” types we have here out and active. In any case, I’d give good money (and would have to) to go there. According to the CIA Factbook, the only real problems are the usual overpopulation and climate change desertification, and a really healthy poppy population in Tasmania that contributes hugely to the opium industry. And the place itself is glorious. Who doesn’t want to go there? 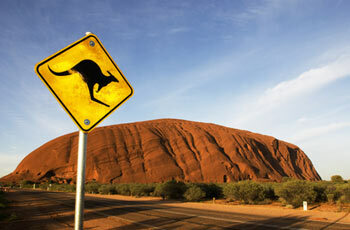 See Kangaroos and Koala Bears and other weird creatures, see the world’s best surf, go climb the world-famous Uluru, a.k.a. Ayers Rock. On second thought, don’t do that last one. The native population doesn’t appreciate people walking all over their sacred land, and, according to my friend Heather who just visited there, they feel terrible when people climb the rock because they are sad when they die. And this happens a lot. So why not plan, instead, to look on the marvel from afar and honour the Aboriginal traditions. They’ll be happy, and you’ll survive to be bitten by that deadly snake just behind you.